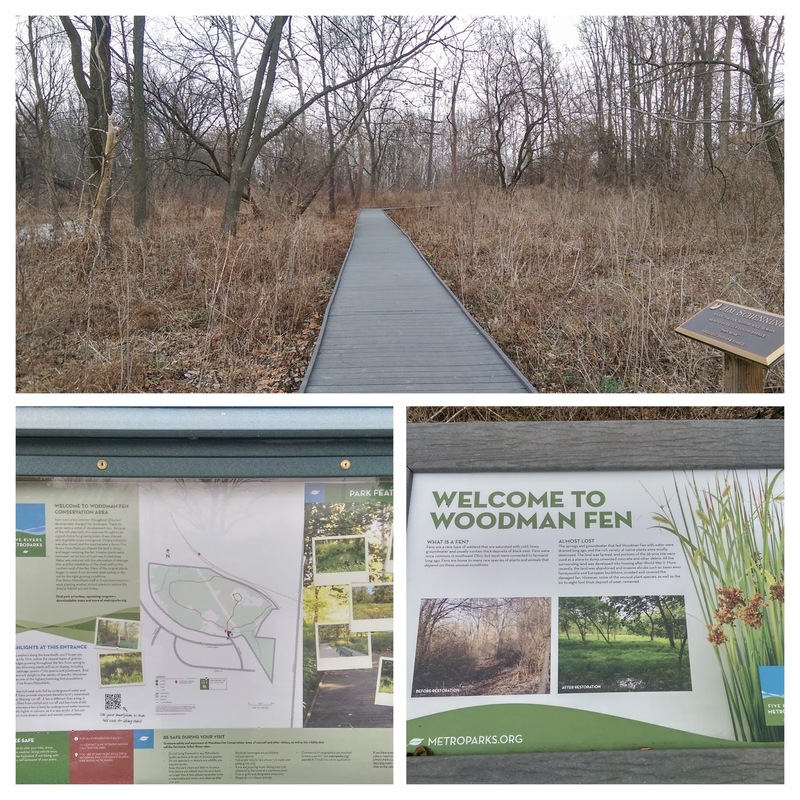 One of the many things I like about Google Maps is finding green areas like Woodman Fen, a nearby, peaceful, 33-acre natural area that includes a groundwater-fed wetland. It's located in Kettering, a little northwest of Woodman Drive and Patterson Road, but back in a neighborhood you would never stumble upon. I'll certainly be back to visit when the flowers and wildlife arrive in spring.